I was born in Taipei, Taiwan and became a born-again Christian in 1994. Back in June of 2000, as usual, I was listening to a radio program: Focus on the Family, while driving to my office in a typical rush hour on a New Jersey highway. But this time, it was a little bit different; I was very emotional and couldn't get out of my car after listening to the testimony over the radio. I knelt down in my office and prayed to God that I desired to follow Jesus and was willing to serve Him with all my time and all my strength, if He called me into His harvest field before I reached 40 years old. Nothing happened immediately after that. Four months later, our church held three-day outreach meetings for all seekers. I was the coordinator of that meeting and the speaker was a Chinese evangelist, Brother Zhiming Yuan, who was also a video director of Chinese Christian Ministry. We had a wonderful conversation and mentioned briefly my my early-year experience in Taiwan as a executive producer in PBS TV production and film. Few days after the meeting, we got a phone call from Brother Yuan. He invited our families to move to California from New Jersey and join his ministry in reaching the unsaved Chinese population by producing various video programs. I remembered the vow I made, that I desired to work in His Ministries rather than in commercial firms before I turned 40. At that time, I would be reaching 40 in a few months. This invitation shook our family. Looking at our three little children, both my wife and I were thinking seriously about all the possibilities and difficulties, we prayed and prayed seeking God's guidance and confirmation. God was very gracious and gave us, even our older daughter, a series of confirmations. 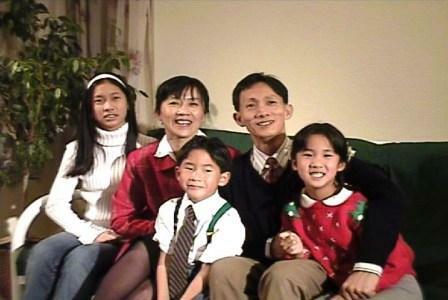 We moved to CA and joined the media ministry-“China Soul for Christ Foundation” in Feb. 2001. We truly enjoyed the spiritual journey our Lord has prepared for us after we moved to California. But the ministry went through couple times of downsizing. In February 2003, after I finished editing a preaching video series, I was told that they would no longer offer a postion for me. My wife and I were so confused at the Lord's guidance, how could that happen to us? We waited upon God's answer to our situation and decided to trust again on His faithfulness for our next journey. From that time on, ERS started a exciting journey in producing various outreaching DVDs which are ministering to those people who are bound by darkness power. The little boy who offered five piece of bread and two slices of fish, just offered all he had, he didn't considered whether it was enough to feed five thousand people or not. "E-R-S!" I cried out loud while waiting upon the Lord in the early morning. We came to California to serve God full time in a media ministry. After two years, our service have been interrupted and we lost our service post. During this period of seeking our next step, we prayed for God's guidence on what we should do in the future. We waited anxiously to His answer. Few days later, we felt that God wanted us to set up a new media ministry. If the moving is true, then Lord, you got to show us at least what is the name of the new ministry. And to my surprise, at the moment while I waited upon the Lord, the name of "ERS" came to me. Excitedly, I gathered our 3 children, and we prayed to God to let us know what does ERS mean. And what is our vision? 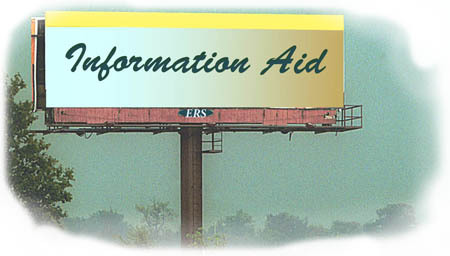 One day when we got back from our church, I closed my eyes and rested, suddenly I got a vision of a highway sign, it was written "information aids". At that moment, I realized R means resource. Later on, S means "service"，E means "Emmanuel" all came unveiled to us. Speak up for those who cannot speak for themselves, for the rights of all who are destitute. Speak up and judge fairly; defend the rights of the poor and needy." And we understand that the direction of ERS production shall aim at those people who are desperate. I was full of passion and excitment whenever my thought was on our calling, but I would feel defeated whenever my thoughts fell on the heavy burden ahead of us. How can we start with only two people? My emotions would go up and down. At that time I still worked at CCM Literature Department, during the lunch break, I would take a walk alone in Petaluma park to praise God and to ask Father to fullfill His promise for us. One day in lunch room I met Xiau-Yun Ma, the missionary from North Thailand,I asked her how she established her ministry in Thailand, and asked her how can I fullfil the ERS vision I received? She retold me about the miracle in the bible that one little boy would be able to feed five thousand hungry people with his offering of only two pieces of fish and five pieces of bread. The reason is that he offered all he had, so God increased his offering. Suddenly it touched my heart that we only need to offer what we have to God, and He will multiply what we offer to Him to minister to His people. Having realized that it all depended on our faith, we layed our hands on the application forms, prayed to establishing a non-profit organization, we completed all the applying processes and got ERS' non-profit permit in Chirstmas, 2003, thus began our forerunner journey in media ministries. Apostolic Church is the church led by the guidance of Holy Spirit. We also want to offer ERS to become an organization led by Holy Spirit. May He reigns in ERS, leads us to become one of the forces that redeem the mass media.